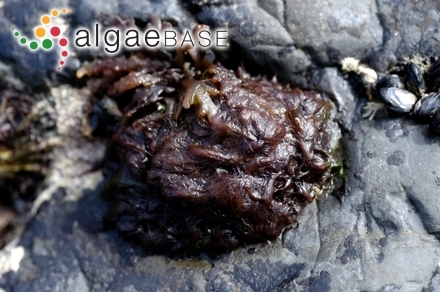 Spanish Point, Co. Clare, Ireland; lower intertidal of exposed rocks on a limpet. 04 Aug 2004. Michael Guiry. © Michael Guiry (mike.guiry@nuigalway.ie). Spiddal, Co. Galway, Ireland; on Patella vulgata. 30 Sep 2007. Michael Guiry. © Michael Guiry (mike.guiry@nuigalway.ie). Type locality: Brest (Athanasiadis 1996: 26). Lectotype: LD Agardh No. 18011 (Womersley 1994: 56). May be the same as Audouinella botryocarpa and A. codii (Stegenga & Erp 1979). 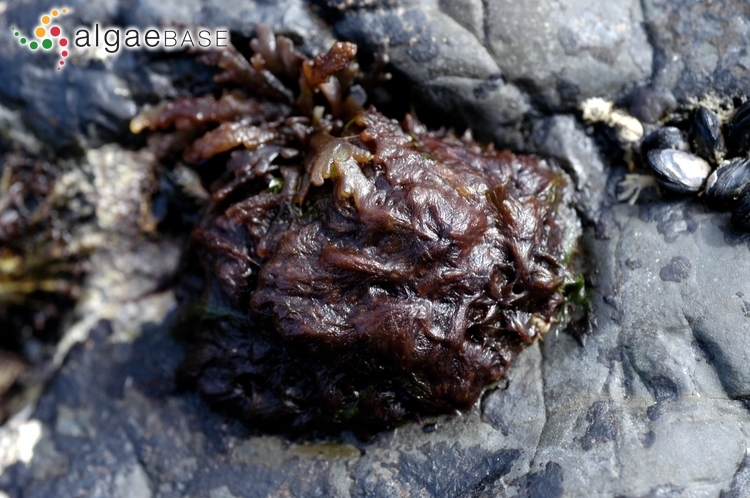 See also Acrochaetium codicola. Jackelmann, J.J., Stegenga, H.S. & Bolton, J.J. (1991). The marine benthic flora of the Cape Hangklip area and its phytogeographical affinities. South African Journal of Botany 57: 295-304, 4 figs, 1 table. Dangeard, P.[J.L.] (1929). 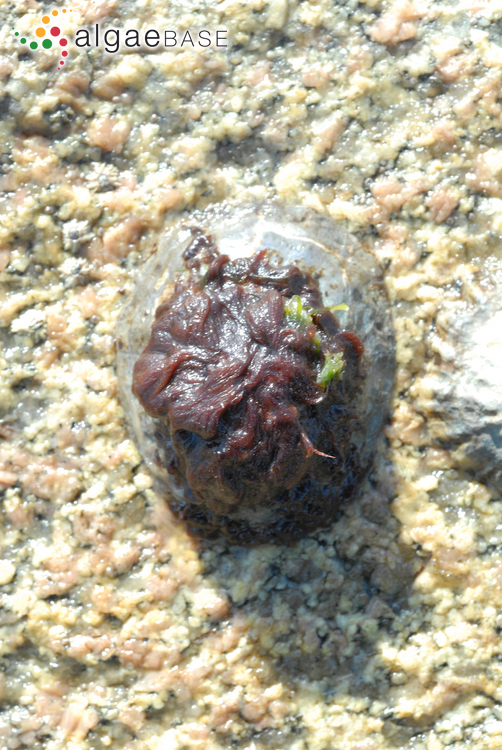 Sur les chromatophores de l'Acrochaetium caespitosum Naegeli. Bulletin de la Société Botanique de France 76: 1043-1048.